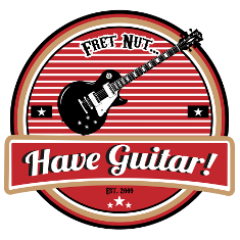 Harley Benton TE-70 Archives - Fret nut... Have Guitar! This is the Fireman Pack from SinMix – 91 fine profiles for your Kemper. Most of them are studio profiles (78!) and then there are some direct profiles and one (!) merged profile. So that is what I’m gonna demo in this Rig Showcase! These profiles recreates the sound from a Friedman BE-100 amplifier (see the link below), a hand-wired 100 watt amp that should and could do anything from blues to metal. As said in the video there’s a bunch of Kemper profile packs based on this amp – have a look at my Rig Showcase-playlists and you’ll find a bunch of demo’s from other profilers. Thanks for watching my videos – feel free to gimme some support by a subscription! A Big Thanks goes out to all you who already subscribes! And that’s about it! Hope you enjoy the video and feel free to push that subscribe button to give some much appreciated support to me and my channel! A big, fat Thanks to all you who subscribe, couldn’t keep it up without you! Welcome to a new rig showcase from Have Guitar, lets have a look at Warm Chord Music’s Red General! Besides being a cool name it is also a great profile pack for your Kemper – 60 profiles from a Revv Generator 120 MKII! So this is not an official pack from Revv Amplification but never the less they have approved of the pack which to me is absolutely the right way to go about… I recommend you visit Warm Chord Music’s website to see all the details, this a profile pack that has been created with attention for detail. Thanks for watching my videos – if you like it you might wanna consider subscribing to Have Guitar, your support IS appreciated! And as always a Huge Thanks to you who subscribes – you rock! Not the first time I do profiles from this amp but I can tell this pack is certainly no disappointment! If you are looking for a great profile pack based on the Satriani Marshall, this could very well be what you are looking for. It got some low gain and some higain – 76 Merged profiles to dive right into.